Sputnik – US President Donald Trump said that he will pull out of the Intermediate-Range Nuclear Forces Treaty with Russia, media reported. 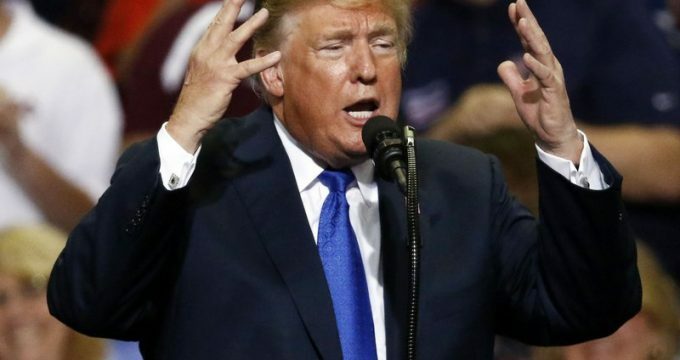 Donald Trump claimed that Russia violates the Intermediate-Range Nuclear Forces (INF) Treaty with the United States, an that he will pull out of it. On Friday, The New York Times reported that the Trump administration was preparing to exit the three-decade-old Cold War-era treaty next week. “The main motive is the dream of the unipolar world. Will that come true? No,” the source said. Moscow and Washington have repeatedly accused each other of violating the treaty. The previous administration of Former US President Barack Obama however, decided not to leave the treaty. Previous year, a senior Russian senator warned that Russia may prepare an adequate response to ensure the country’s protection If the United States decides to withdraw from the Intermediate-Range Nuclear Forces Treaty. Meanwhile, Europe stands for the extension of the Russia-US 2010 New Strategic Arms Reduction Treaty (New START). German Foreign Minister Sigmar Gabriel stated previous year that the European security can encounter a significant threat should it not be resumed by 2021.